Football is booming right now. You might have noticed. The amount of money being spent on young people that are good at kicking round things has grown exponentially over the past two decades. The £12.5m paid for Gianluca Vialli in 1992 (the year the Premier League began) through to the £200m shelled out for Neymar in 2017 represents a compound annual growth rate of 20.3% in world record fees. But football as a sector - is it really worthy of investment? Isn’t it characterized by desperate swings in profitability and littered with bankruptcies? Doesn’t most of the profit go straight to players and agents? Tottenham Hotspur, Aston Villa, Birmingham City, Charlton Athletic and Newcastle United have all taken themselves off the stock market in the past. 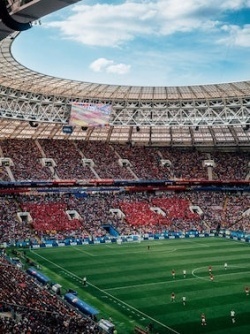 Established fund manager Nick Train holds shares in Manchester United, Juventus and Celtic across the Lindsell Train global and UK equity portfolios. He views the clubs he holds as ‘national icons’. There is a case to be made for investing in unique assets - especially if they are increasing profit and revenue, as appears to be the case at these clubs. Deloitte starts off its 2018 Annual Review of Football Finance by saying: “The financial results for the 2016/17 season may well be viewed in the future as the defining moment in the delivery of sustained profitability by football clubs competing in the Premier League.” The game is evolving and so is the case for investment. Gone are the days in which top clubs’ main source of revenue came from filling up seats and selling pies. Broadcasters are flooding the game with cash as more established operators do battle with deep-pocketed new entrants such as Amazon. High-quality sports content is valuable. The total value of the rights to show Premier League matches on television for 2019-2022 reached £4.55bn. In its recent second-quarter earnings update, Manchester United reported a 37.9% increase in broadcasting revenues for the three-month period and 26.3% for the six-month period. I remain sceptical due to what was once described as the prune juice effect. This is a thought provoking report. Certainly the likes of Man U (hate to say this as a Liverpool fan) have a strong economic moat - perhaps the strongest in the world? However, as an investment it is trading on a forward PE of 125 (using Stocko's report). This is the type of forward PE I would expect from a fantastic growth company, which I think Man U, or any of them, are not. For the pure reason that I avoid businesses that rely on, and reward "key men", and football being an extreme version of this I won't be investing in any football club soon. I'd like to think I have a little more sense and knowledge now (though forever learning this wonderful game!). Moat or no moat, clubs are run for the benefit of the players, ultimately. Footie is an emotional issue amongst us Brits (except for me), and emotions don't make for good business. That's a fair point re. Facebook and the rest. My initial takeaway is that there's value in these assets but the fact that the value of the brand is ultimately tied to performance on the pitch just creates so much uncertainty... Liverpool's a case in point - before Man U they were the high profile brand and they could well return to that level in future, but it's that kind of jostling for position that puts me off. The accounts, in general, have been a far cry from the stable and consistent growth profiles that investors usually go for. I am highly skeptical that there can ever be a rational investment case for a football club, but sometimes you can get lucky. A good few years ago I decided it would be nice to become a 'co-owner' of my club which was at the time listed on AIM so I 'invested' a token amount (actually thinking back it must have been c. 2-3% of my pot, which given my current views on diversification is not really 'token' at all). By some bizzare mishap we got through to the FA cup final and the share price soared. In a moment of lucidity I decided to cash in on this good fortune and used the proceeds of my sale to buy cup final tickets, transport and overnight stay for myself, my son and daughter. We inevitably lost (there was no other possible outcome) but had a great day out. On the back of the bursting of the bubble the share price plummeted and I bought back in with the remainder of the cash (still a four figure sum). I might even at that stage have convinced myself that it was now a proper investment. A couple of years later the company delisted, but I decided to maintain my allegiance. As a result I still get the full company AR each year (never got around to attending the AGM as my loyalties have since changed) which are truly eye-watering. The company survives on the fact that the Chairman subscribes to a substantial amount of additional shares every year (I've no idea how diluted my holding has now become). Meanwhile I now support a 'National League' (Conference to the die-hards) in my new home town, where it is so hard for the club to compete financially when most owners are 'investing' heavily in order to secure a place in the English Football League - I wonder if they realise that AFAIK there are no profitable clubs in the EFL? If I recall something I read a few years ago correctly I think even only a tiny minority of premier league clubs actually make a profit. I suspect the only investment case for football clubs is the 'greater fool theory'. When it comes to investing, football clubs are in what I term "airline territory". This means I would never touch them, even though I acknowledge that there are cases where private holders have done well - Arsenal's long term shareholders perhaps being a good example. It's simply too difficult to know which investments in players will provide a serious return, and as Mourinho at Man Utd proved, even proven managers cannot always be relied upon. Mightn't a racehorse make for a more interesting and engaging bet? We once had a blind man in our firm who did quite well out of them. I think fractional ownership is sometimes available so you can build up a 'stable' (sorry!) for diversification. You shouldn't need to 'get your hands dirty' as the mucky side of things is typically outsourced. I expect the asset's not eligible for a SIPP or SSAS though. btw, did you know the 'financial summaries of Manchester United and Celtic' are both the same in your article ?